Welcome to my blog olivefooddoyou. I have a passion for sharing my experiences at local restaurants so that you can get a feel for the atmosphere, food, and what the restaurant/ bar is like before you decide to try it or not. I especially love giving insight to people traveling through St. Louis and those who just moved here that want to try local restaurants not chain restaurants. My husband and I love trying new, local restaurants and supporting our community. Living here in St. Louis, we are lucky to have a wide variety to choose from. We went to a newly-opened restaurant for a friends birthday over the weekend and I could not stop talking about it. I took some pictures and later decided I should put them and my experience into a blog! I worked in the restaurant/bar industry for over 6 years, and can provide a fresh perspective on the service provided and what most consumers expect when they are out to eat as well as the food selection, price vs quality, libations and overall vibe of the restaurant. I also love to share family recipes of mine and other recipes I have used that are now staples in our home. I hope you enjoy the food as much as I do! My husband and I had been wanting to try The Libertine for months, and finally made it happen this past Saturday night with our friends, Zac and Demi. I follow Josh Gilliano, the chef from The Libertine on all social media platforms and his creations are mind-blowing. He has been a semi-finalist for the James Beard Award! I always see pictures of his food that makes my mouth water and could not wait to try his food myself. This past week my family, longtime friends of the family, Joe and I went to dinner at Quincy Street Bistro. 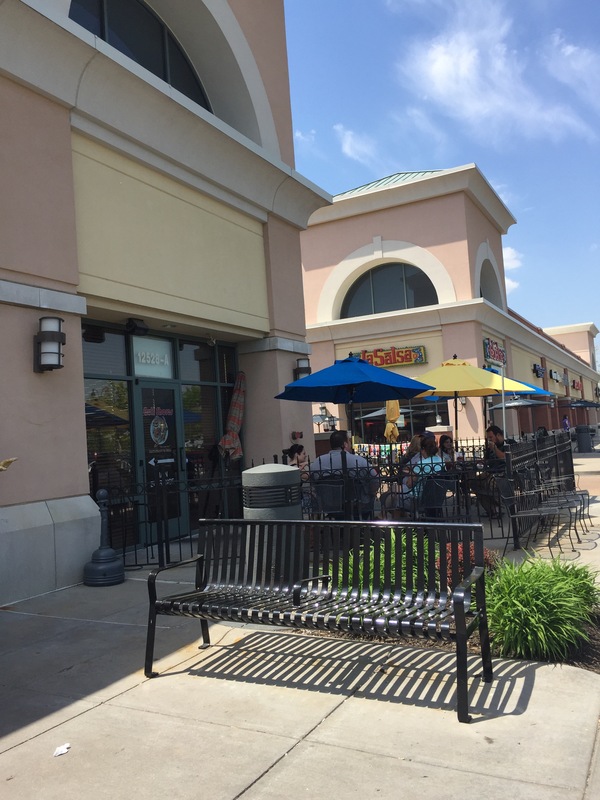 It is located in the city, at the corner of Gravois and Quincy St. This was my second time eating here! The first time we ate here, we took my little big brother, Jon, during this past Christmas season. Our service was great both times!! Over this past Memorial Day weekend Joe, our two friends (Doug &Christine), and I had lunch at Hodak's, on our way back from strawberry picking. Joe used to eat Hodak's as a kid, but it has been years since he has been there. This was a first for the rest of us. They were ranked best fried chicken In St. Louis this year, making it 25 years in a row for Hodak's. Last Friday night my husband and I decided to treat ourselves to dinner. We wanted to go somewhere we had not been and did not mind spending a little more than normal. We are very blessed and wanted to celebrate being newly married, our successful careers, and just each other in general! We decided to go to Annie Gunn's. Annie Gunn's is located in Chesterfield and has been in business for years! I have been on a serious Thai kick lately. It is a cuisine I did not grow up with, and now cannot get enough of. My husband started working in South County a little over a year ago, and stumbled across this little gem of a restaurant and South County favorite, Pad Thai. They have 66 reviews on Yelp and have a 4.5 star rating! This past Sunday my husband and I joined two of our friends for lunch. 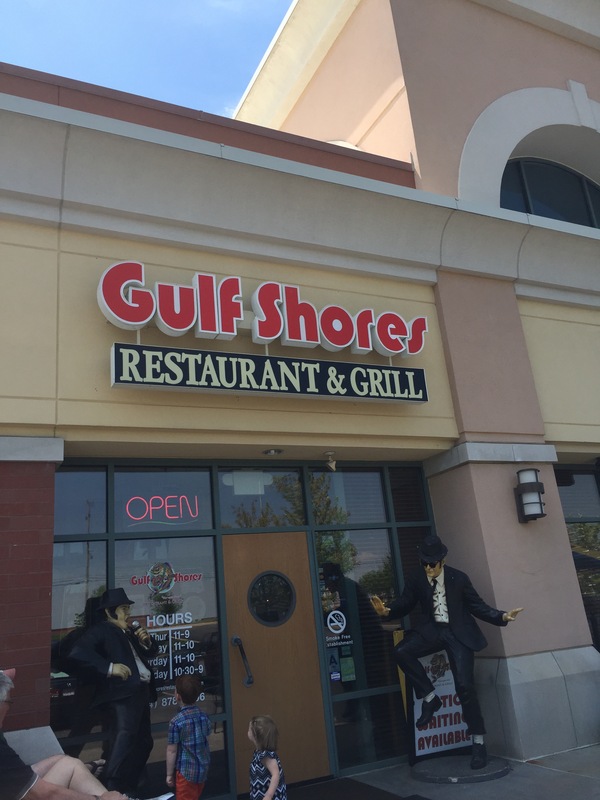 Our husbands were coaching a game near Gulf Shores in Creve Coeur, so it was very convenient for us. Plus, I have had several friends who say they really loved the food here. I was the first to arrive, and took as many pictures of the restaurant as I could. The restaurant had a great vibe! They have outside seating, but it was not available so we sat inside. It was a beautiful spring day and everybody wanted to sit outside to enjoy it! I loved the decorations, statues and live music. At the back of the restaurant was a gentleman playing piano and singing! In the middle of the restaurant was a beautiful aquarium. The Saint Louis foodies were at it again! We had our April #stlfoodieseatup at Small Batch Whisky & Fare downtown on Locust Street! It is owned by the same family that owns Rooster and all of the Bailey's Restaurants. It was a smaller group this time! Mike, @gusgusfunbus, Charlie and Christine, @weeatstuff and I enjoyed really tasty food, wonderful service and a very modern, decorative set up. I stumbled upon Sushi Bistro a few years ago, when I started working in Kirkwood. I go here for lunch not nearly enough, but often! I went to lunch this past week with my friend, and realized I haven't yet blogged about my experience here. So here you go! I know you are just itching to read more!! Last night for dinner, I made baked macaroni and cheese, and it was amazing. Very similar to my original macaroni and cheese recipe, but this one is a little easier. Two of my girlfriends and I decided to catch up over a happy hour on Friday night. Blue Sky Tower Grill in Brentwood is super close to where we live, and they have 60 martinis on their menu. It sounded perfect and what we were in the mood for. I really liked what I saw when I walked in! Dim lights, black and red decorations, and plaques with names on them covered the wall above the bar. They had oldies music playing in the background, loud enough to hear but soft enough we could still here each other.